Welcome! 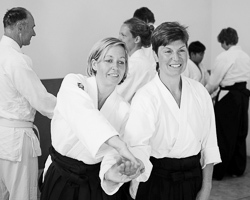 This is the official website of the Ki Society and its dojos in Europe. 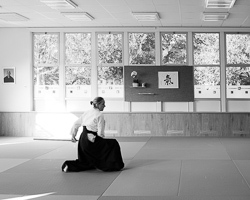 We study and teach oneness of mind and body and oneness with the universe through the five disciplines of the Ki Society – as they were designed by its founder Soshu Koichi Tohei Sensei (1920-2011) and are now taught by his son and successor Kaicho Shinichi Tohei Sensei. 23.4.2019: If you want to participate in our European Summercamp – hurry up, there are only 5 places left! 23.4.2019: Just added… the Spanish version of this website! 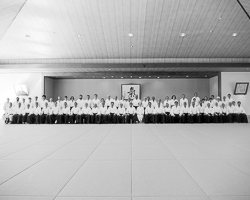 01.11.2018: The founding of our Europe Ki Federation was agreed by Ki Society Kaicho Shinichi Tohei Sensei! 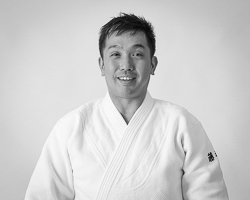 Toby Voogels Sensei from Helmond/Niederlande was appointed as our Chief Instructor – congratulations, Sensei! Afterwards we had a wonderful party… now the work can begin!